Whether we need a dish to bring to a potluck or just simply on a health kick, experimenting with salads can be fun despite what you may think. In rounding up these recipes, we were inspired by the combinations of fruit, nuts, seeds, and veggies these ladies created to make these light and fresh dishes. Grab your ingredients and get to experimenting—we bet you won’t look at salad the same way ever again! 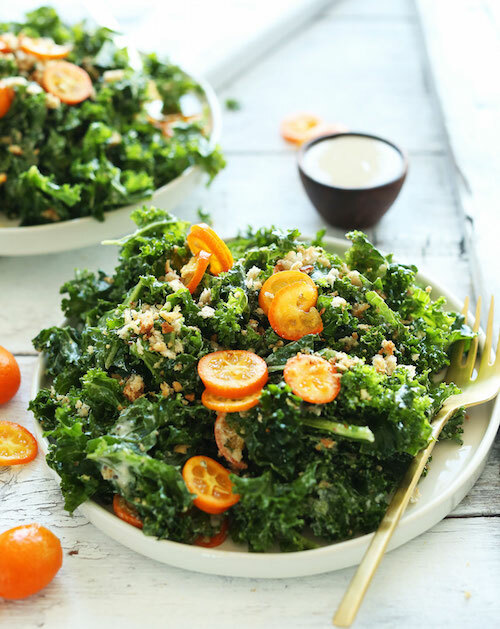 This salad combines the sweet and sour taste of a kumquat with the zing of tahini all with the crunch of the kale. Top it with cheese, breadcrumbs, or seeds of your choice! 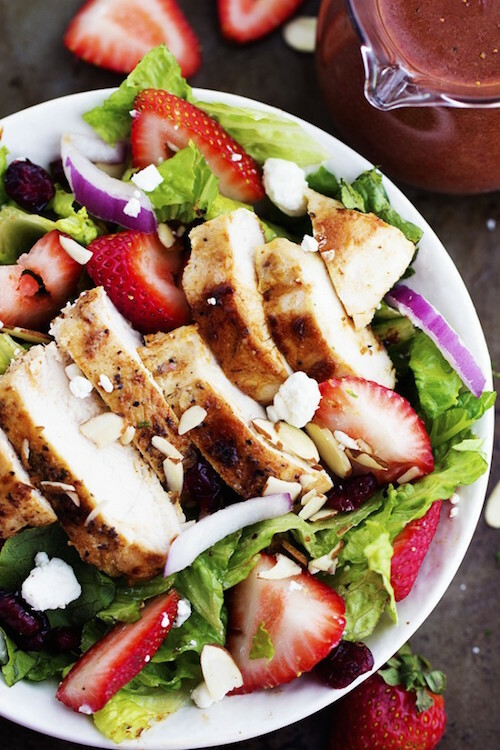 When berries are in season there’s no excuse not to put them on absolutely everything you eat. 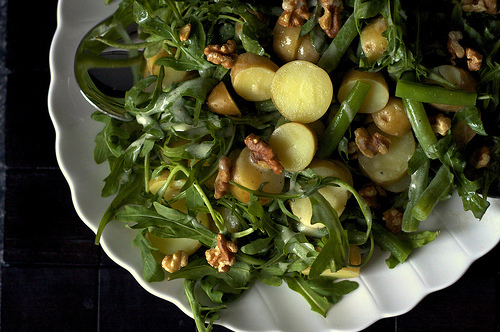 The light summer taste of fruit and nuts added with the slightly sweet dressing will make this a spring staple. Sometimes you don’t even need lettuce to create a salad. 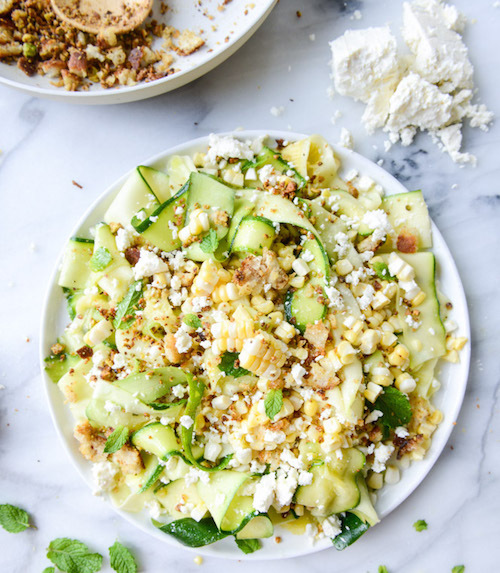 This recipe calls for zucchini as the leafy greens’ substitute and we aren’t mad about it. 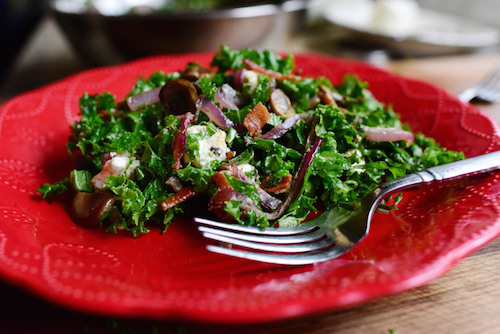 If you’re ready to give kale a rest, try the romaine hearts in this crunchy, fresh salad that’s the perfect side to any meal. 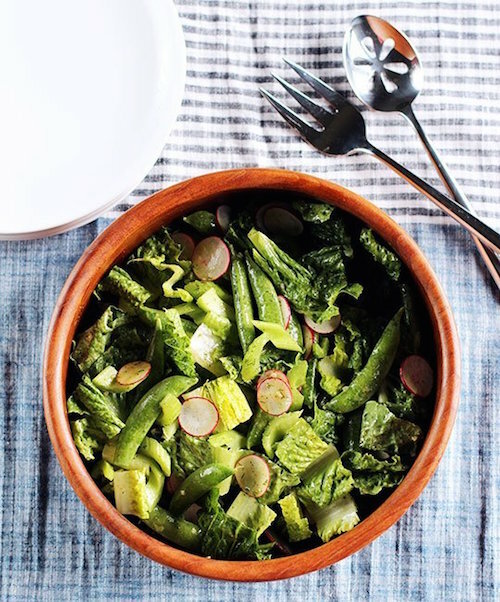 The best weeknight salad complete with greens and starches, we want this with its creamy walnut dressing every night! The Pioneer Woman is known for her decadent casseroles and tasty treats, but she also knows how to make a “killer” salad. Goat cheese, bacon, mushrooms, and onions? Um, yum. 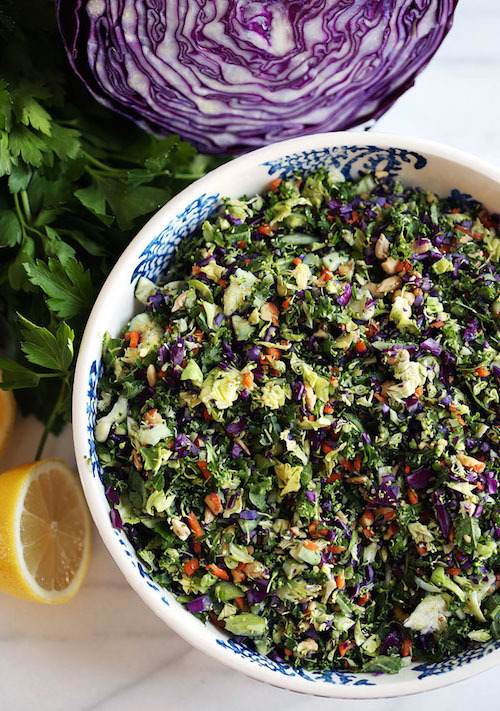 Sometimes our bodies need a reset, and this salad is here to help. With broccoli, Brussels sprouts, kale, and cabbage there’s no shortage of nutrients to get you back on track and feeling healthy. Jerry Seinfeld’s wife is a fab chef, did you know that? 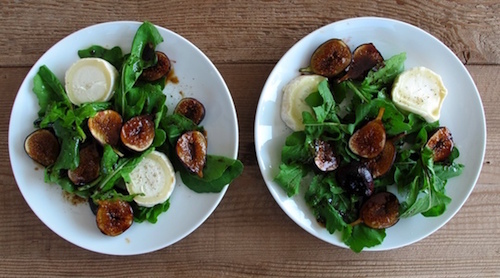 Here is her sophisticated recipe that will take you no more than 15 minutes to put together. 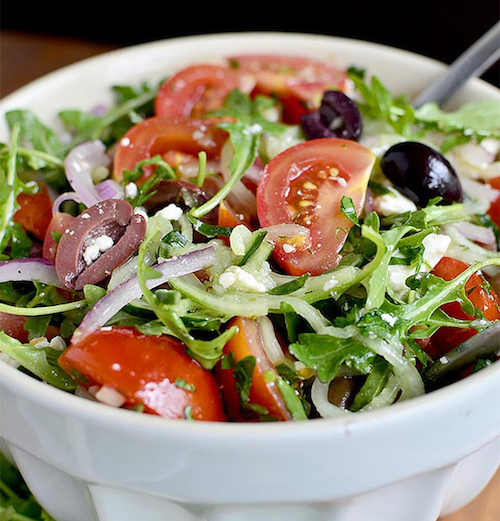 You really can’t go wrong with a refreshing Greek salad. The oregano lemon vinaigrette that tops this dish takes it from fresh to fab. Don’t Be Old Fashioned, Add Tequila! Take Your Moscow Mule To-Go This Summer!